If you are a small business and you are looking to get your website promotions moving in the right direction then our Local SEO packages are just what you need to get things moving forward. Yes we can also create your website for you from scratch. A website design should be simple to navigate, easy to read and straight forward to use any functionality. Getting these steps right can mean the difference between your site being a success or a failure.s. Like all things, websites need some tender loving care. Our maintenance programs make sure that your site is kept up to date with all the latest plugins and core updates to protect you from hacking. We can help you manage the social media minefield of sites and posts to ensure that your business gets the exposure that it needs to increase traffic and conversion. Our Pay Per Click services ensure that your website gets the maximum exposure with the budget that you have. 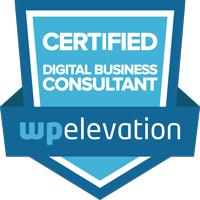 We are Google Adwords Certified to ensure that you get the best service possible.